Newmont Mining Corporation (NYSE: NEM) today announced that the Company has entered into a subscription agreement pursuant to which it purchased 29,213,186 common shares of Orosur Mining Inc. at a price of C$0.091 per Common Share for total consideration of US$2,000,000 (or C$2,658,400 based on an exchange rate of US$1 = C$1.3292). Prior to completion of the Private Placement, Newmont did not own any Common Shares. Following completion of the Private Placement, Newmont beneficially owns 29,213,186 Common Shares, representing approximately 19.9% of the issued and outstanding Common Shares. Terms of the Subscription Agreement include Newmont’s right to participate in future equity issuance to maintain its ownership stake in Orosur, and restrictions on Newmont acquiring more than 19.9% of Orosur’s outstanding voting securities, each for a period of five years following closing. A copy of the early warning report filed by Newmont in connection with the acquisition will be available on Orosur’s SEDAR profile. In order to obtain a copy of the early warning report, please contact Jessica Largent, Vice President, Investor Relations at Newmont, at telephone number: 303-837-5484 or e-mail at jessica.largent@newmont.com. 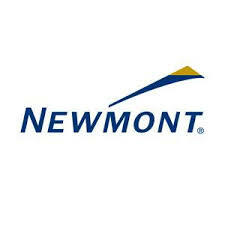 Newmont’s head office is located at 6363 South Fiddler’s Green Circle, Suite 800, Greenwood Village, CO 80111.